One of the most important parts of the filmmaking process is pre-production. Without good pre-production, the project will most likely fall apart. Everything from hiring your cast and crew, creating your budgeting, finding your locations and setting your breakdowns happens here. This means that communication is key to being successful. If you can’t get everyone on the same page before the shoot starts, there’s no way you’ll be able to get everyone up to speed once the camera starts to roll. Many times you need your entire team to contribute and collaborate on the project. This way you aren’t stuck having to go through an intermediary. Products like Celtx give all the department heads access to the same information, whether they are on set or at home. Today, if you’re on set, you need to have at least some basic apps, especially if you are coming from the camera team. There are a wide variety of apps that help you do everything from framing your shots to syncing to slating. Just make sure you have the right phone for the apps you need, as some are only available on the iPhone or Android phones. Green screen work is increasingly common both on narrative film sets and the corporate video world. But if you don’t do your green screen work correctly, the post production side is going to look bad. The reason people like to make fun of bad CGI and green screen is because it can be so jarring, especially if the rest of the project looks good. 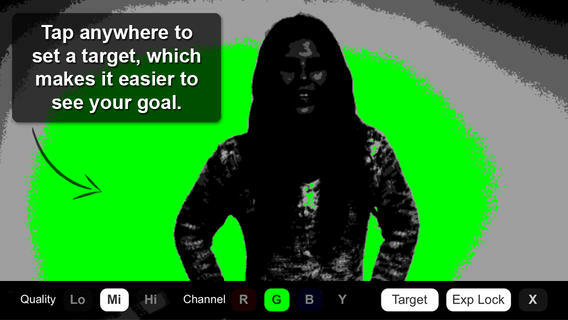 The “Green Screener” app makes that job a whole lot easier. Essentially, the app artificially increases the banding that shows on a poorly lit green screen. With that information, you can quickly adjust your lighting until the green screen looks as even as possible without having to move away from the screen or needing to pull out a light meter and take measurements. Post-production is where everything comes together and you start to have a real movie. While you can just cut together the footage you have to make a finished project, many cameras appeal to a post-production workflow. From flat picture profiles to RAW files, these files need a little more help, unless you’re going for the ultra desaturated look. To fix your files, you need some sort of color-correcting software. 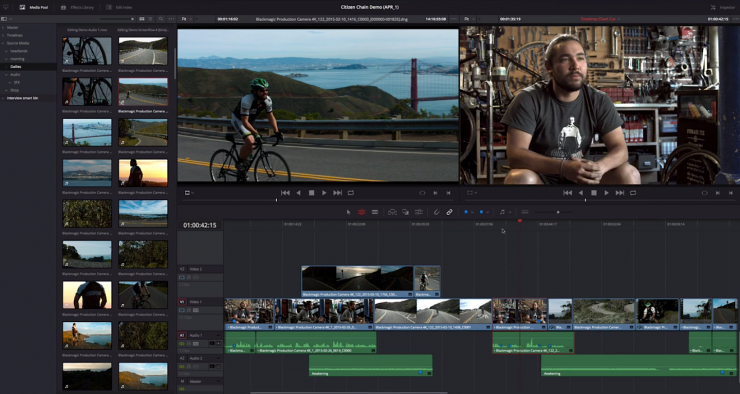 Two of the biggest products out there today are Adobe’s SpeedGrade and DaVinci Resolve. Both give great final products, but depending on your editing software, one might be a better fit than the other. A major advantage of the Adobe suite of products is the ability to quickly move projects from one tool to another. These programs play nicely with one another, enabling you to go from editing in Premier to grading in SpeedGrade to adding your CGI effects in After Effects seamlessly. DaVinci Resolve, on the other hand, is becoming more and more of an all-in-one program. Once you get into the higher end of color grading and editing, it also offers control surfaces, which give an extremely fine and custom control to your grading experience. In addition, Blackmagic Design, who owns DaVinci, has started to expand into the camera and production side of the market with its own line of professional-level cameras, such as the Ursa and Pocket cinema cameras. By controlling the whole process, from shooting to editing to delivery, Blackmagic products work well together. So, if you own one of these cameras, it can be worth looking into the DaVinci products.